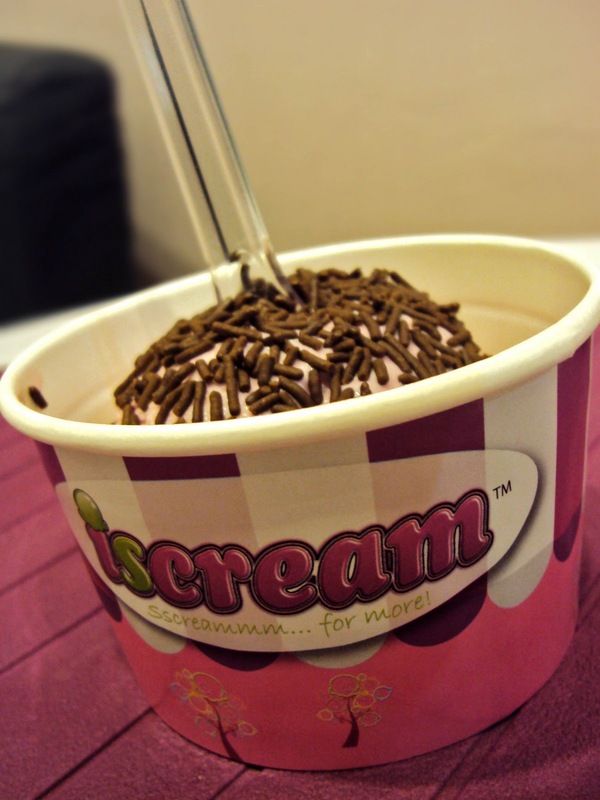 Heeheee, I was not screaming for nothing and not screaming for destress either. I was screaming for this long waiting scoop shop, Iscream in Tropicana City Mall. 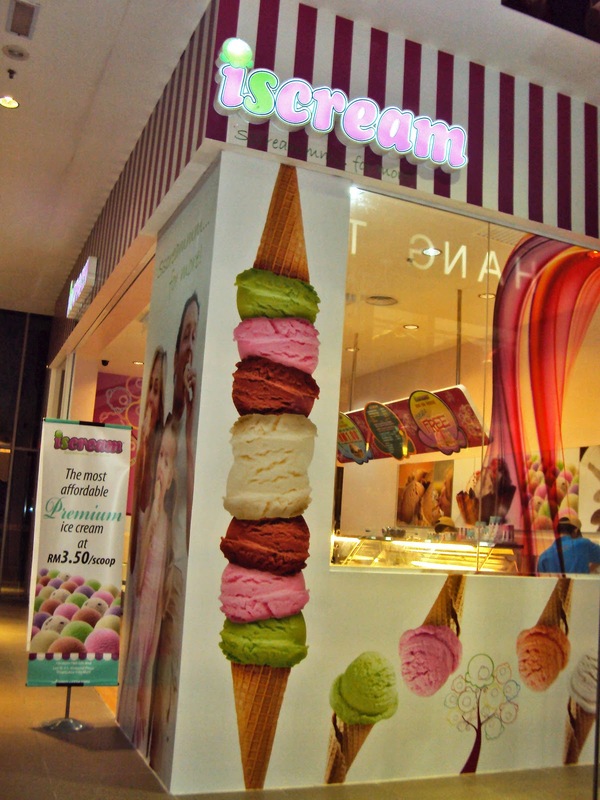 Opened in September this year, this shop definitely won some attention for its creative shop name.It is actually a scoop shop selling premium ice cream. 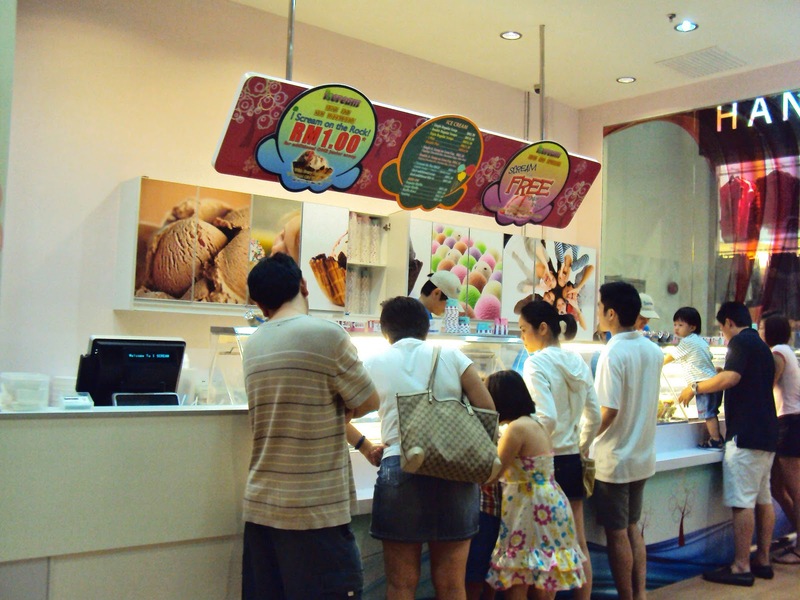 They have classic vanilla, mocha, yam, chocolate, chocolate vanilla and many other flavours of ice cream. 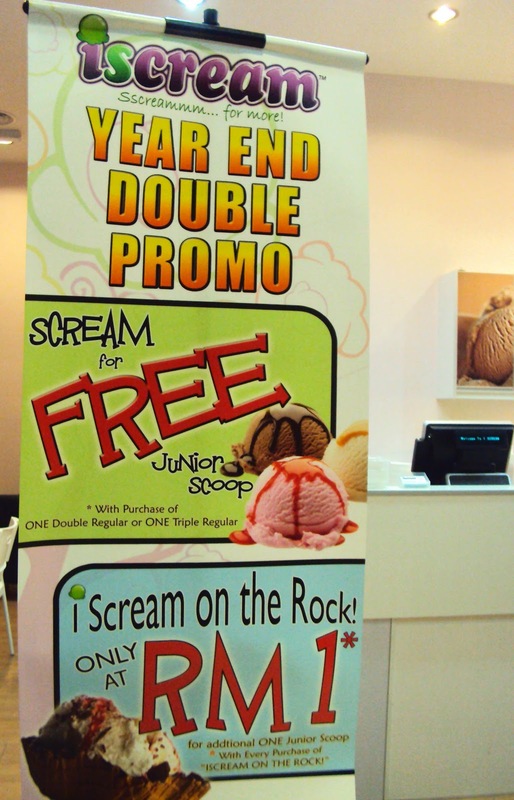 (a) you will be getting 1 FREE Junior Scoop with every purchase of 1 double regular or 1 triple regular scoop. (b) you only need to add an extra RM1 for additional ONE Junior Scoop with every purchase of “ISCREAM ON THE ROCK!”. 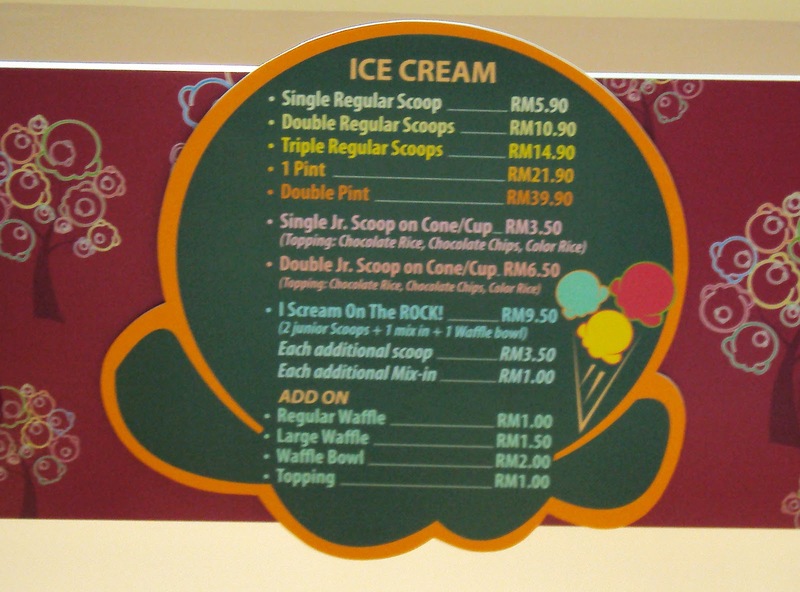 After testing on a few flavours, and just to get something new besides chocolate and chocolate and chocolate all the time when comes to choosing the flavours for our desserts, we finally pointed at the YAM flavour and asked for a regular scoop. Here it is….and the chocolate chips was FREE OF CHARGE….! =). 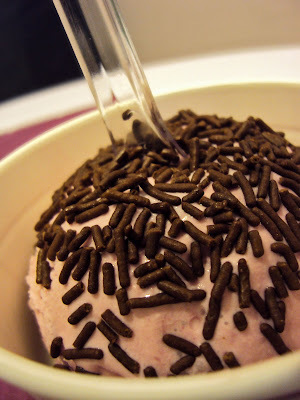 Creamy, but not too sweet and we enjoy every spoonful of it. We could find some yam paste once in a while having it melt in our mouth. Pretty nice for the price of RM5.90 for a regular scoop. 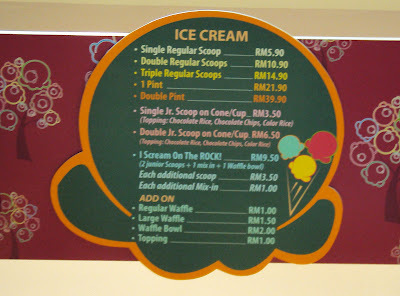 Hmm…actually I find the ice cream was just average comparing to Haagen Dazs and Baskin Robbin. The taste is not that strong and rich.